​Maryland.gov, http://www.maryland.gov, the state’s official website, has received a 2013 Best in Class Interactive Media Award from the Interactive Media Council, Inc. (IMC). The Interactive Media Awards recognize excellence in web design and development and the Best in Class Award is the highest honor bestowed by the council. The honor recognizes that the project met and surpassed the basic standards of excellence that comprise the web’s most professional work. The Maryland.gov website was chosen as a Best in Class winner out of 137 entries submitted in the Government category. The judging consisted of various criteria including design, usability, innovation in technical features, standards compliance and content. In order to win this award level, the site had to meet strict guidelines in each area — an achievement only a fraction of sites in the Interactive Media Award competition earn each quarter. Out of a possible 500 points, the Maryland.gov website received an overall total of 482 points to secure the Best in Class distinction. The award-winning site, released earlier this year, is a more user-friendly, engaging portal providing better access to government information and services. Designed for mobile-first content, the new site uses responsive design techniques to automatically scale content to the smartphone, tablet or desktop device being used. The site features a prominent intuitive search where results can be filtered to access more than 200 online services, agency publications, and maps. Geo-location features detect the user’s location to display the closest government offices, state parks, and motor vehicle (MVA) offices, complete with wait times. Crowd-sourced, local photography highlights activities across the State and showcases current events through a rotating graphical montage. Information is easy to locate through the main navigation bar with pop-up mega menus complete with secondary navigation, important programs, and the latest social media updates. The Interactive Media Council, Inc. (IMC) is a nonprofit organization dedicated to elevating the standards of excellence on the Internet. IMC focuses primarily in the areas of web standards, accessibility, usability and privacy. Maryland.gov is the official website of the state of Maryland (http://www.maryland.gov) and is a collaborative public/private partnership managed by the Department of Information Technology (DoIT). 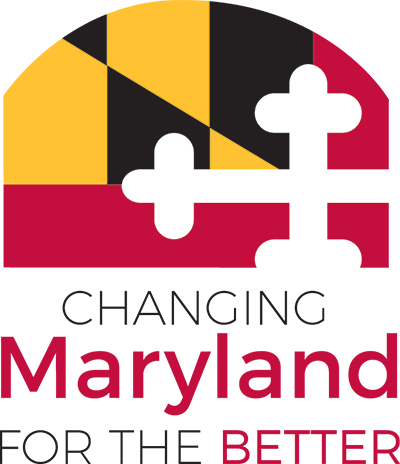 Maryland.gov helps state and local government entities web-enable their services and operates without tax funds through a partnership between the state and NIC Maryland. NIC Maryland builds, operates, maintains, and markets Maryland.gov and its eGovernment services. NIC (Nasdaq: EGOV) is the nation's leading provider of official state government portals, online services, and secure payment processing solutions. The company's innovative eGovernment services help reduce costs and increase efficiencies for government agencies, citizens, and businesses across the country. NIC provides eGovernment solutions for more than 3,500 federal, state, and local agencies in the United States. Additional information is available at http://www.egov.com.